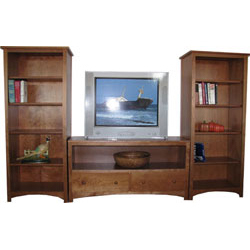 The bookstacks look great standing alone, or as shown here as a wall entertainment system. 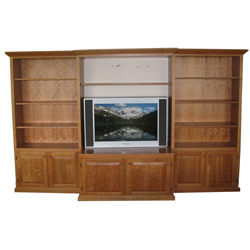 They feature 3 adjustable shelves. 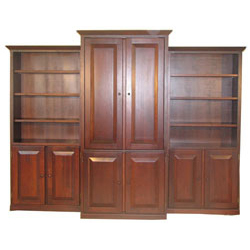 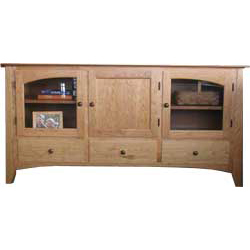 Options include: maple or oak, staining, changed dimensions, doors below.